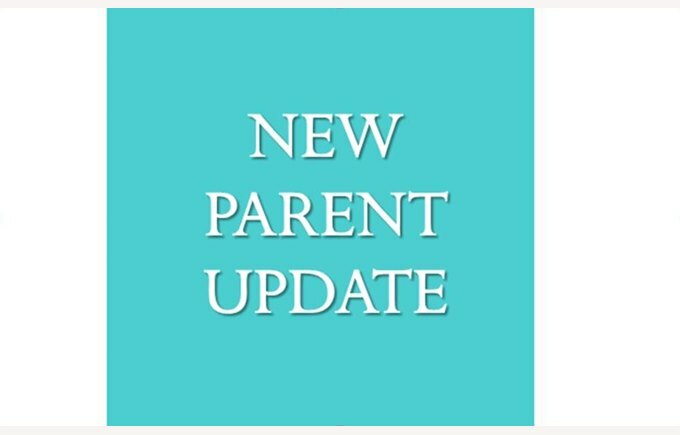 Hello everyone and welcome to our second Parent Update. We have lots to cover in this Update, so let’s go! We have been so thrilled with the number of passionate and enthusiastic families that are joining NAIS. We now have almost 350 students confirmed to start with us in September! 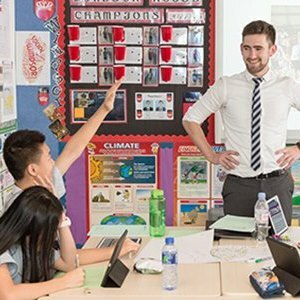 We are still meeting students and making new offers every week, and we are currently receiving a large number of applications from people living overseas and relocating to Hong Kong over the summer. Ultimately we are anticipating a student body of well over 400 when we open our doors later this year. We are also very pleased to introduce some of our other teachers – this week we are profiling Simone Reid, Maths teacher and Deri Reid, PE teacher. Simone began her teaching career in 2005 and is presently teaching secondary mathematics at an academy in South-East England. Deri graduated from Canterbury Christchurch University with a BSc in Sport and Exercise Science and is currently Head of PE in a Sports College on the outskirts of London. More about Simone and Deri in the attached document. Now that the teacher recruitment is complete, our Principal, Brian, and our HR Team are hard at work finalising the recruitment of Teacher’s Assistants, developing our Additional Needs team and employing the school nurse. The campus renovation is progressing quickly now. Over the past few weeks there has been a lot of work done in the multi-purpose sports hall. The Audio Visual contractors have been working closely with the electrical and flooring contractors to create a great indoor play/sports/theatre space. We’re very excited to share the attached architect’s rendering of the hall – if you look closely you can see the retracting basketball hoops! The hall will also have a removable stage and a retractable partition so we can create separate halls if we need them for two different activities. We’ve also attached renderings of our bathrooms, a science lab and the central staircase. Please take a look. The air conditioners are being installed at the moment. The window frames have been installed and the glass is all on site, ready for installation. Additional corridors for fire escapes have been constructed. The playground equipment has been chosen and is going to be fabulous! We’ll share pictures soon. Classrooms are nearing completion and will be ready to start painting by the end of May. Opening a new school requires lots of policies and procedures! Last week the Senior Leadership Team looked in detail at our most important policy – child safety and security. This is an area that our Principal and all of our staff take very seriously. All students will have an Octopus card, this will be essential for security and will be used for checking in and out of the school and during fire drills. They also have non-security uses – for example, children will check out their library books using their Octopus cards! We are installing CCTVs in certain key areas like fire escapes and outside bathrooms and other sensitive area. Ongoing training for teachers with a particular focus on online safety and the prevention of cyber bullying. 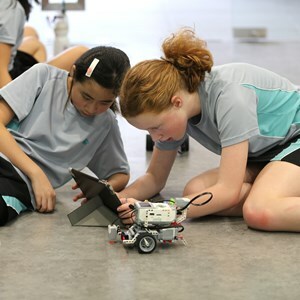 Our IT team has been finalising the arrangements for in-class technology, which will include interactive whiteboards (SMART Boards) in all classrooms, and classroom iPads for use by Primary Years students. The SMART Boards are pretty amazing – see this link for more information. The IT team is also working on the development of our “Moodle” (school communication) system, which is the platform that will be used by parents and students to access timetable and homework details, and to see what’s happening in the classrooms (because we all know that it can be difficult to get our children to give us any meaningful information!). As well as setting up buddy systems in other areas where our parents live, we’ll also be adding parents and students to the existing groups. We had another really useful meeting with our bus company this week. As we confirm more and more families, the routes are starting to take shape. We know that you’re all anxiously waiting for more detailed information, so we will be back in touch as soon as we can. In the meantime, if you haven’t already let us know if you would like to register your interest in the bus service, please let me know as soon as possible. Remember, it’s only a preliminary indication at this stage – you’re not committed! 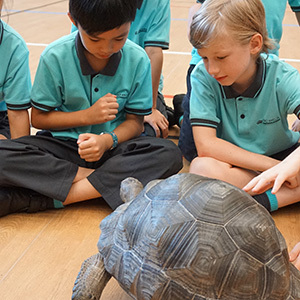 We are delighted that Dover Court Preparatory School, Singapore, has now joined the Nord Anglia Education family of schools. Dover Court is one of the leading international schools in Singapore. Under the ownership of Catherine Alliott and her family, along with Dr Maureen Roach, the Principal, the school has made impressive progress since its launch in 1972. The school enjoys an excellent reputation amongst parents, has a strong and committed team of teachers and school administrators, and educates 650 thriving students. 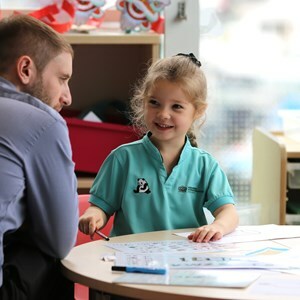 We believe there is an excellent fit between Dover Court and Nord Anglia Education’s family of schools. To learn more about the school, please visit its website: http://www.dovercourt.edu.sg/. Well that’s it from us for now. Please do get in touch if you have questions or would like more information about the School.